For the 20 plus years that I have been trading, I have seen thousands of traders who focus on their method of trading and their money management system. Some of them spend years finding and developing a type of “Holy Grail” technical application by creating trading indicators or algorithms, others become real experts in trading "methods" such as Elliot Waves or more recently, the rediscovered marketing of Ichimoku, after it had been forgotten for almost 100 years. There are also fashions in trading, indicators become more or less popular for a while and are then consigned to oblivion only to reappear 50 years later and arouse the same new hope to a new generation of traders having the same expectations and who ultimately make exactly the same mistakes. 99% of traders focus on two factors; a method or indicator and a Money management system that is deemed to be effective. Some traders devote several years of their life to developing overly complex systems and the result is always the same: they do not make money despite the thousands of hours of "work", reflection, analysis, etc. Why have generations of traders over centuries ultimately failed? There are ready-made answers that generally agree with the mass of embittered traders: it is the brokers’ fault, or the banks’, or bad luck… human imagination is extensive in this area and some even slide into paranoia, the broker sold shares for €4 billion on a stock exchange to make the index fall by 100 points so that their stop was reached and they lost €1,000. Sometimes you don’t know whether to laugh or cry… but they always show a form of immaturity, these people have stayed at the infancy stage where they are the centre of the parental universe. Even if this is difficult for many traders to hear, we are nothing, we do not exist not even if we have $1 billion in our account. A grain of sand on a beach. And for many traders, their narcissism is in fact subconsciously injured, they see their lives as so important, the centre of their universe, that it is absolutely intolerable that the financial markets show them that reality is just the opposite: we are all insignificant and nobody realises that we exist. How many childhood egos are broken this way, on the only tangible reality of trading? : we are responsible for our actions, our trades, and our results whatever they are. Finding a pretext is pointless, we are good or we are bad. It is us who have pressed the buy or sell button. These small examples that can raise a smile and which are unfortunately daily realities on trading forums, show us that these traders are doomed from the outset. In fact, they do not focus on the essential, on the essence of trading, on its quintessence, on what is most important in the success of trading: their psychology, working on themselves. Faulty psychology and poor impulse mastery will inevitably lead a trader to failure in the medium or long term. He will eventually be overwhelmed emotionally, his complete excitement, in the Freudian sense, will crumble under the assault from his internal and external impulses and he will "break" under the pressure, under his emotions, under his stress... ruining, in a few hours or even minutes the months or years of gains. The idea that automatic trading lets you avoid this type of problem is also an aberration. Actually, traders who develop their algorithms, thinking that this will shelter them from their impulses only put up a screen, an additional filter, a tree that hides the forest. From the moment that they alter its code, their impulses are relaunched, they do not improve, in fact they only get worse. For automatic trading to be truly effective, the software needs to operate freely, without interventions or continual "improvements" from a neurotic trader. A trader’s real work is therefore to work on his psychology, to succeed in channelling his emotions or at least in finding a method so that they remain under control. To be a good trader, you should simply get to know yourself, it always comes back to basic wisdom. Trading is first and foremost a personal experience, one of the most difficult adventures in our lives but also the most exciting. There are no false pretences in trading, by trading we discover what we have in us, the irrational part, the impulsive being which is buried deeply within us. Through fear of what they have inside themselves, a lot of traders refuse to see this fundamental part of trading which represents 90% of the results. They take refuge in trading books, methods, algorithms, training, etc. to occupy themselves so they do not see the essential: regardless of their system, their method, their indicators, their money management system… all of this is meaningless as long as they do not accept this simple truth: a trader without a method of controlling his impulses to earn money, a trader with the best method in the world will lose money, inevitably, if he has not worked on the profitable aspects of trading: work on oneself. Many studies in behavioural psychology in the 1980s and 1990s all pointed in the same direction: you take 20 people, you give them extremely simple trading rules to adhere to, a 3 point check-list to tick before confirming and validating a trade and you let them trade for a month. You will have 20 totally different results. This experiment has been redone hundreds of times by dozens of American, English and Canadian universities, and the results have always had the same significance: with an ultra-simple method that a 14 year old child could follow, the majority of people will be ruined within a month or will stagnate, a tiny minority will make money. And yet, they have exactly the same trading conditions, the same trading plan, the same capital, the same broker… there is no difference except what is happening inside their heads. The key to success in many professional fields such as top-level sports or trading is self-control and working on oneself. 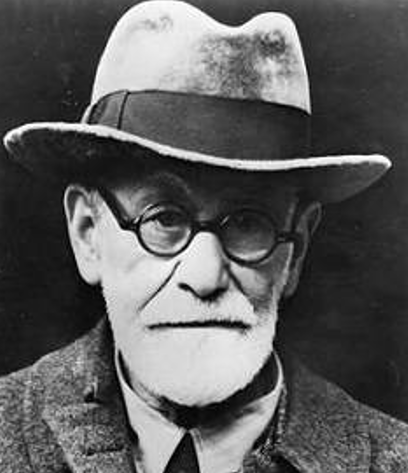 To be a good trader, it is better to have psychoanalysis and deal with your problems with money, with your ego… than to pretend to work on your charts. But this work is long and difficult, but it is also the most "cost-effective" in trading. That is what scares many traders, discovering why they react like this when faced with pressure, why don’t they manage to take their losses, why are they totally overwhelmed by their emotions, why don’t they manage to be patient, why are they euphoric when they have made a fine trade and why are they a living nightmare to their entourage when they have lost? Why do they have such conflicting emotions of violence, joy and despair? Why does trading bring all this to the surface? These are some of the questions which will naturally slap traders full in the face. Either the trader agrees to look in the mirror and begin a long process that may last for years without knowing where it will lead, the fear of the unknown… or he resists and takes refuge in his methods, his books… so as not to face reality, and start a new repetitive cycle of failure. 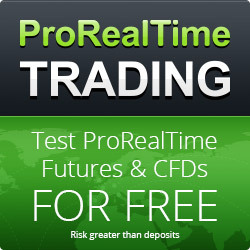 For proof, if you still need it, technical analysts who make money in financial markets are extremely rare, if they earned money trading, they would be traders… I personally know a lot of "famous” analysts who do not manage to follow their own recommendations, they are so overwhelmed by their emotions when they try to trade… they are catastrophic traders, some have had the honesty to say that they have never earned a penny by trading. If you have been losing money on financial markets for 5 years, 10 years, 20 years, throw out your books, throw out your methods and do the real work, go and consult a psychoanalyst, a clinical psychologist… understand why you are unable to adhere to your money management system, why you are unable to take your losses. Discover the hidden face of trading… discover yourself… Stop this ordeal which condemns traders to a repetitive cycle where you gain for some time only for everything to backslide, then you work again to discover a new miracle method, win back for some time and then everything backslides etc. In this repetition, traders find little psychological satisfaction, it allows them to fight against the anguish of death because they will be reborn from the ashes like a phoenix but it will destroy their self-esteem little by little and this can have devastating effects in the long term. But, some try to understand and to begin the most difficult work of their life, the one which will change them, which will calm them. And trading will no longer be mostly suffering with a few transient pleasures, but an activity like any other, a gain or a loss creating no more emotions than that. Trading then becomes natural as the relationship with money has fully evolved, it no longer causes suffering, it is no longer narcissistically weighted. Too many traders identify with their results: they make money, they feel good, their ego is boosted, they lose money and they collapse, they are no more. You are not identified and identifiable with trading, break this vicious circle. This is so true! Thank you.